Register for the CEST class here. If this is the way your operation perceives of training, then you have a different issue that will be important to resolve in order to move forward. Read the rest of the article from Dave in American Cleaning and Hygiene Magazine here. Sharon Cowan has a series of upcoming courses she would like to tell you about. These courses will become available, on the Academy ELearning Campus, in the first quarter of 2019. Please see her first FREE course HERE. 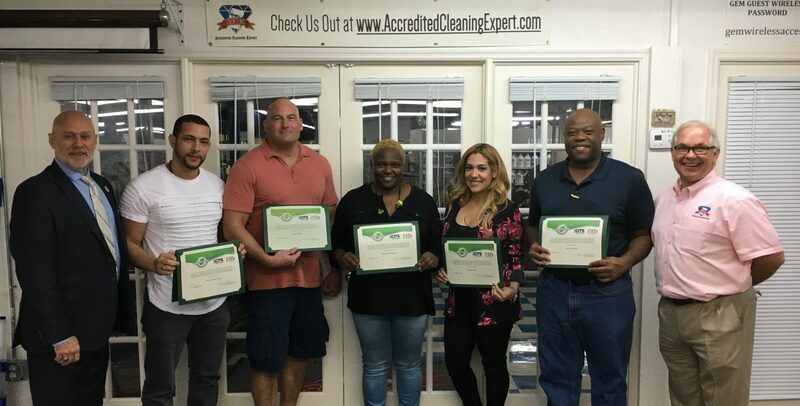 The Academy of Cleaning Excellence (ACE), based in Orlando, FL, is pleased to announce, that effective November 1, 2018, A2D Cleaning Solutions (A2D) in Modesto, CA will join its team. A2D Cleaning Solutions will provide Live, Virtual and E-Learning courses as provided by ACE. David Swindle II, will serve as the Facilitator for A2D. Today, http://www.a2dsolutionsclasses.com/ is LIVE for those wanting an online class. In addition, on December 27 and 28, 2018, A2D will facilitate its’ first VIRTUAL HANDS ON classes, ACE Accredited Carpet Care and Floor Care for frontline custodial staff in Northern California. These classes are part of the Frontline Education Package offered from ACE through A2D Cleaning Solutions. David Swindle II has over 25 years of experience in the cleaning industry working as distributor sales representative, sales manager and regional sales manager. David recently left Surtec, Inc in Northern California where he worked as sales manager for the past 4 years to start his own consulting company. His goal is to provide solutions which go beyond just products or services. He started A2D Cleaning Solutions to provide help to customers with cleaning challenges, no matter their cleaning and restoration challenges. In 2011, while working for Envirox Chemicals, Mr. Swindle had the opportunity to attend some of the Frontline classes instructed by Mr. Thompson. It was during this time that he realized the value of the Academy and how it could benefit, not just managers, but frontline cleaning professionals. Over the years the two men have stayed in communication. His goal has been then to eventually provide this same education to his customers on the West coast. Do you currently use Clean Core technology? NO, well then this will help you with some basic principles of the system. If you have a system, this will help to make sure you know the tips of using the Filling Station. Here is a link to the education/training course from the Academy of Cleaning Excellence for those currently using the Fill Station. The course is FREE. Use to educate “New Hires” before they ask you the questions.